What will the gaming world look like by 2050? Will our gaming lives be filled with artificial intelligence, smart tech, and virtual reality? 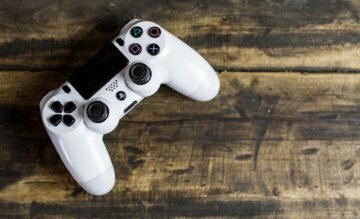 What will the gaming trends of the future be? We cast our eyes three decades ahead and offer up some thoughts. VR devices are already on the market (Oculus Rift being just one example). Should the take-up of virtual reality continue at its current pace, expect to see a gaming world almost completely dominated by VR technology – with classic games reimagined in a VR format – and games developers given a whole new innovative playing field on which to create new ones? One thing, however, is standing in the way of progress: cost. For VR to truly change the gaming world, the cost of headsets will certainly need to come down to allow for purchasing in greater numbers. Back in the ‘70s and ‘80s, everyone would go hang out at their local arcade. The ‘90s started to move things indoors when the rise of affordable consoles and personal computers with technology capable of playing games made it easy for us to enjoy gaming at home. Home Gaming is a trend that’s only set to grow: a poll of more than 1,500 gamers by Liberty Games found that a significant 74 % people want their very own arcade machine at home, compared to just 26% who would rather play at an arcade. One of the biggest technology switches right now is the change from desktops to mobile devices, with consumers increasingly using smartphones, tablets, and apps to shop, bank and, of course, play games. This is set to continue, with the Liberty Games research also finding that many of the retro games of the future will be app-based. Instead of going to a shop or an e-commerce website to buy a game, in future we could be more likely to visit a specialized gaming hub instead. You may be familiar with Steam – an online platform through which you can buy and play games, watch videos and connect with other gamers on social and community channels. Yet Steam is perhaps not the answer: while the number of games available on it is on the rise, 37% of all registered Steam games actually go unplayed. So while it may be a major player for now, in future Steam could be usurped by smaller, more ‘indie’ distributors who offer varied pricing models and niche games. You may have seen the 2013 film, about a lonely writer who falls in love with an operating system. By 2050 artificial intelligence could well have advanced so much that we are able to ‘marry’ video game characters – perhaps in the form of an online avatar, or maybe just as ourselves! AI could also create much richer gaming experiences where intelligent gameplay. The characterization creates a much deeper, much more involving gaming experience. Author Bio: Hannah Watson was born in London; her services are great and amazing enough that made her known as a great animator. She completed her degree from Australia and now serving as a game animator at Animated Video Production House. She would love to tell the whole world that she is the most beautiful artist within herself.